Blog Life in China What is Tofu and How is Tofu made? 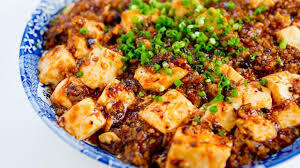 As one of the staples of East Asian cuisine, tofu (豆腐 dòufu ) is a food you will definitely encounter on a trip to China. But how is tofu made? Very logically tofu is literally named ‘bean’ (豆dòu) ‘fermented’ (腐 fu) in Chinese, as it is made from fermented soya beans. In English it is can also be referred to as bean curd. 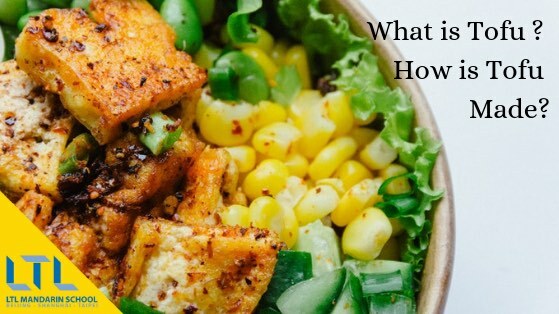 Chapter 2 – How is Tofu Made? 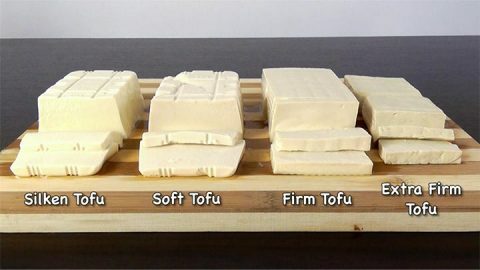 Ancient Tofu Making – How is Tofu made? The first tofu-making was recorded in China, at around the time of the Han dynasty, more than 2000 years ago. The legend tells that Prince Liu An invented soy milk for his elderly mother. She was ill and couldn’t chew her food. At her suggestion Liu An ground up some soya beans into milk, which is step one in tofu-making. The invention of bean curd has also been attributed to Liu An. As a devoted Daoist, Liu An spent a lot of time and money on discussions of how to attain sainthood and cultivate energy clusters known as Dan. According to another legend Liu An produced soy milk as he believed it would help with keeping Dan. One day the soy milk was accidentally mixed with gypsum powder and the first tofu-like substance was formed. However, some sources discredit this theory and claim that it was the group of monks with whom Liu An lived who taught him the tofu-making process. These Chinese Daoists were said to know ‘alchemical’ methods used to make bean curd from soy milk. As a fairly powerful person of the time, Liu An enabled increased production and propagation of soy milk and tofu, which made him famous for the products. Bean curd didn’t become a widespread, popular food in China until the Song Dynasty (960AD – 1279AD). It was generally only eaten in the winter before refrigeration was available in China as it spoiled too quickly in the warmer months. Traditionally, it is used as a food offering to the deceased, because spirits are believed to have lost their jaws so can only eat very soft food. The spread of tofu to different parts of East and SouthEast Asia is believed to be linked with the spread of Buddhism in the region, as it’s an important source of protein in the Buddhist vegetarian diet. I recently signed up for a making-tofu-from-scratch class at the Hutong cooking school in Beijing, and it was a lot of fun. Aside from generally being quite useless when it comes to cooking, I also had zero idea of how this mysterious but tasty substance is produced and my curiosity got the better of me. So here’s a very rough explanation of what we did and how tofu is made. Luckily for us the Hutong had this side of things thoroughly prepared for us. Usually when you buy soy beans from the local market/supermarket they’re dried. You need to soak them in water overnight to re-hydrate them. Rinse them first. Once the beans are fully rehydrated you need to mix them with even more water, this time in a blender. Blend them as smooth as you can (the more powerful the blender they smoother this will be) to make a kind of milkshake like liquid. The curd is made the from liquid parts only, so using a sieve and cheesecloth (this catches the really fine pulpy bits), separate the pure soy milk and pulp bits. This part can get a little messy. Don’t throw away the pulp/tofu dregs, known in Chinese as doufuzha 豆腐渣. This can make a really delicious veggie burger patty or ‘meat’ ball. Heat your raw soy milk up on a medium to low heat, stirring so it doesn’t boil over. Now you have soy milk ready to drink! If you have a sweet tooth you can add sugar. This is a bit like the yoghurt-making process; you have the milk and you need to make it clump together. We added spoonfuls of vinegar to do this, which acts as a coagulant to turn the soy milk, like magic, into tofu. We had to add them carefully, one at a time to make sure we didn’t break up the curds. Though there are several other things you can use as a coagulant, for example: lemon juice, epsom salts, gypsum, nigari are all quite commonly used. Once your soy milk has turned into a tofu-like substance you can spoon it into a wooden basket, place a cloth and something heavy (like a bowl of water) on top. This presses your tofu together and the excess water will leak out of the bottom of the basket. And voila, you have a basket of fresh bean curd. The texture of fresh bean curd ranges from silken to extra firm, with all the stages in between. The main difference comes from how much water is pressed out of the tofu. The firmer the tofu, the higher it will be in both protein and fat content. Deep-fried bean curd cubes are crispy around the edges and soft-centred. This tastes much better than it sounds. All three are made from the dried and cooked skin of the soy milk as it’s being turned into bean curd. A tasty, vegan alternative to smoked cheese, dry bean curd needs little to no preparation. 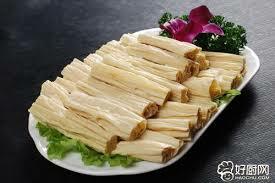 You can buy pre-frozen bean curd to add to hot pot and other yummy dishes. It has a spongey texture when thawed out. A bit of a red herring in this list (excuse the pun). Fish tofu is actually not tofu at all, it’s a starchy fish cube that has a tofu-like texture. It usually does contain fish and soy bean oil. This is a delicious Sichuan dish of soft bean curd chunks. It has lots of chilli and mouth-numbing Sichuan peppercorns. It generally contains ground pork for flavouring, but the vegetarian alternative Mala tofu is also delicious. It’s always good to check whether it contains meat when you order, just in case. This is a member of the hotpot family without the soup base. Different types of tofu can be used in this sort of dish, dry bean curd, bamboo bean curd, bean curd skin are all popular. Additionally vegetables are often added to the mix. 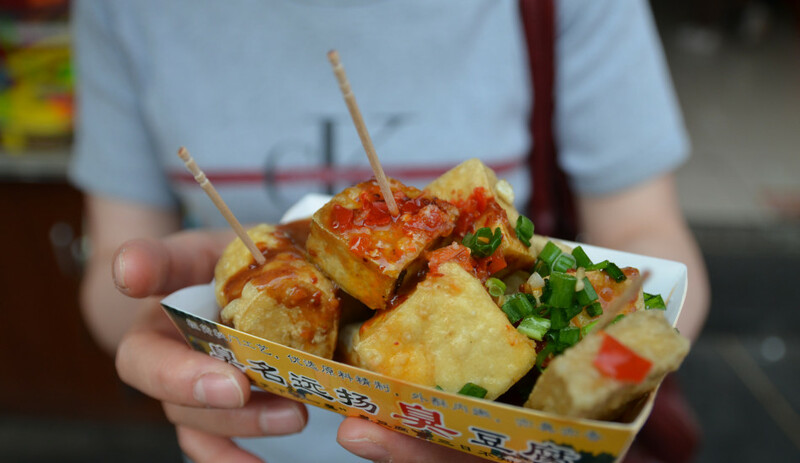 There are many home-style tofu recipes across China. Said to be one of Chairman Mao’s favourite dishes, Hunan home-style bean curd is one of the most common across the province. This dish is generally made with deep-fried tofu pieces, though often contains strips of pork, so be careful veggies. Simple vegetables such as spring onions or leeks are also often added. As the name suggests, you’ll probably smell this dish before you catch sight of it. It is usually sold at street stalls and markets as a snack rather than a main dish in a restaurant. There are lots of variations of this in mainland China, Hong Kong and Taiwan. One of the most famous is again Hunan-style. The worse the smell, the better the flavour, so we’re told. You just have to get close enough to eat it to try this out. These chewy bean curd sticks are marinated with vinegar, garlic and sesame oil. It is often served with celery stalks, and is perfect for hot humid days when you want to eat something cold. We’ve also written a blog about how to be vegetarian or vegan in China with some great recommendations for dishes. Tofu also goes hand in hand with Chinese hot pot, check out our guide to eating Chinese hot pot also. Please feel free to visit both of these blogs!